How to get support from Pipe Ten staff with any issues you are having. 1. Navigate to https://my.pipe.co and click the Support button for the account you wish to submit a ticket from. 2. On the form that appears, compose the problem report. 4. Click Submit. Your ticket will be sent to the technical support. Subject: the subject of your Ticket message. E-mail: the e-mail address that the reply and confirmation will be sent to. Message: enter a question or describe your technical problem. Attachment: You can add attachments after initially submitting the ticket. To browse through your tickets and replying to them. 1. Navigate to the email you entered when submitting the ticket, find and click the link inside the confirmation email for the ticket. 2. Click the reply button and enter a follow-up ticket in the box that appears. 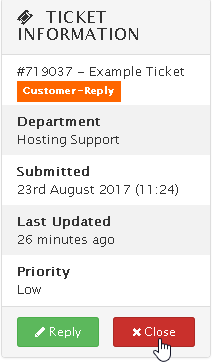 We will generally close all support tickets after replying. This doesn’t mean your issue has been closed, you may reopen and respond to the ticket at any time. 2. Click the Close button. Live Chat / Live Support, where you can chat online with a Pipe Ten expert is available from the Pipe Ten website during extended office hours. 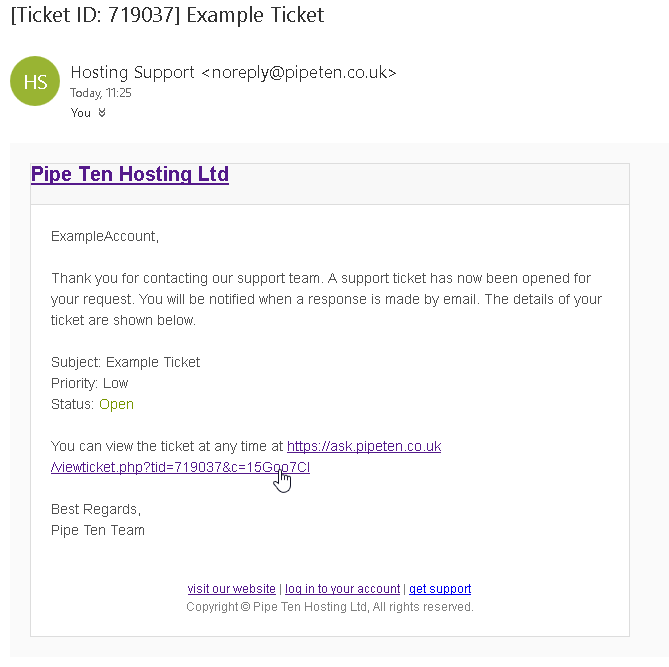 At Pipe Ten we find that ticket & live chat support is a lot more efficient than telephone support. With our Live Chat and Ticket support options, you’re not stuck waiting on hold in telephone queues, wasting your precious time and running up your phone bill. You’ll receive concise information direct in an easy to understand format, including links to support documents and tutorials to explain the more complex technical jargon or procedures. Web hosting can be a very technical environment, there are lots of different factors which can contribute to your issue ranging from your own internet connection right through the many components that make up the hosting servers within our facilities. Having a support method which allows you to be kept up to date without being placed on hold makes it easier for everyone to get on with what they’re doing. 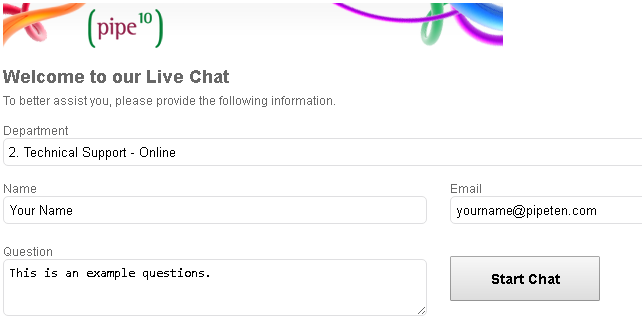 There are no extra fees for using the Ticket or Live Chat support. It’s absolutely free! Whether you’re an individual customer or a reseller with lots of customers, it’s the best way to receive quality support and save both time and money. Take call centres for example. They usually have a target call handling time which means support staff are more focused about dealing with your query and getting you off the phone. With our online support systems we are dedicated to resolving your query whether it takes 5 minutes or 5 hours. It’s all about getting it right first time. By offering these types of support. 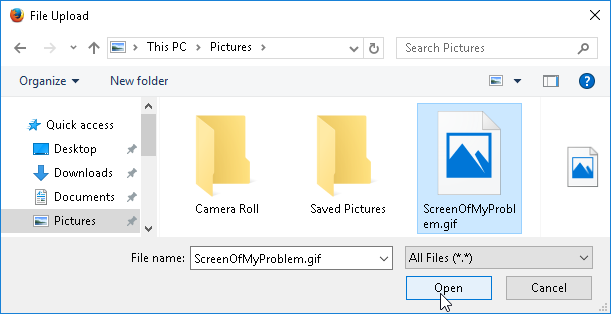 You are able to keep a log of what happens, if you have a problem that you’ve experienced before. You can search back through your ticket history and see what happened the last time. This might mean you can fix it yourself and save yourself time. Obviously with telephone support this is not possible, you’d probably forget what happened on the conversation after a few days, or only remember parts of the discussion. We’ve all been there, on the phone to a support team in a random country. Having to repeat ourselves because you’re on a bad line and either they don’t understand you or you don’t understand them. With ticket and live chat, it’s all there in clear written text. If you have a complex query, which requires multiple people to look into the issue. With ticket support you’re not stuck being transferred from pillar to post whilst the issue is being dealt with. Your support ticket is simply escalated to the most relevant qualified member of our team to deal with and you’ll receive a detailed response containing all of the information related to your query. With our Live Chat system, after every session you have the ability to rate the support session. We do take this seriously and investigate any areas where support was rated less than 5 star. We are quite proud of the quality of our support levels. Anything less than 5 star is not good enough. We always value any feedback from our customers, without it we’re not able to improve further. Our support team is composed of staff members all based and trained within the UK. From our office based in the heart of Sheffield. We’re always focused to providing you with the support you deserve. All support responses are hand written. 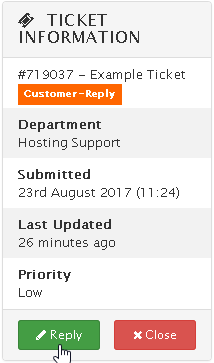 We don’t provide you with cut and paste responses like most people might expect from ticket based support. We really do take the time to respond to all of your queries ourselves, direct from the heart! Support responses are always tailored to your needs and abilities. If we know you’re not very technical we can provide easy to understand responses using less technical jargon. However, if there is something you don’t understand, we are always happy to explain further. Telephone support is available for all sales and server/enterprise enquiries. Technical support is available for our Dedicated Server customers. They often have more complex solutions, but more often than not online support is still a more suitable method for the same reasons listed above. If you are a Dedicated Server customer you should have been issued with our support telephone number, if not please contact your dedciated Account Manager asap. Calls to this number will be charged at your standard network operator rate (local call). Calls are monitored 24/7 with immediate answer during office hours. Customers calling for domain, general or complex enquiries, especially when requesting changes or requiring authentication may be directed toward alternate support methods when more appropriate.